With the hotel on Waikiki Beach, there’s so much we can do to enjoy the ocean. We can board the Atlantis Submarine or Waikiki Catamaran at Port Hilton on the beach. We can visit Duke Kahanamoku Lagoon and Beach and enjoy the sublime Hawaiian sun on a chaise lounge beneath an umbrella. Whether surfing, stand-up paddle-boarding, kayaking and much more, we’ll make the most of our stay in Waikiki. Our elegantly decorated One Bedroom City View Suite is filled with all the comfortable features of home. This suite offers a king size bed in the master room with a flat-screen TV. A separate living area is spacious with a queen-sized sofa bed, flat-screen TV, DVD player, PlayStation3, and a balcony. The full kitchen includes a full-sized refrigerator, microwave, dishwasher, oven/stove, coffeemaker, a dining table, and more. We will pamper ourselves in the well-appointed bathroom with the large tub perfect for soaking after a long day. 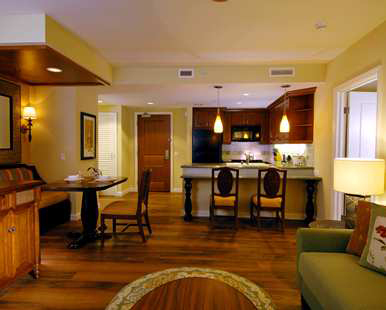 This suite features a washer and dryer, complimentary Wi Fi and more. This stylishly decorated suite is filled with all of the comfortable features of home. Our suite offers a king size bed with luxurious linens in the master room and a flat-screen TV. A separate living area is spacious with a queen-sized sofa bed, flat-screen TV, DVD player, PlayStation3, and a balcony. The full kitchen includes a full-sized refrigerator, microwave, dishwasher, oven/stove, coffeemaker, a dining table, and more. We will pamper ourselves in the well-appointed bathroom with the large tub perfect for soaking after a long day. This suite also features a washer and dryer, complimentary WiFi and more. 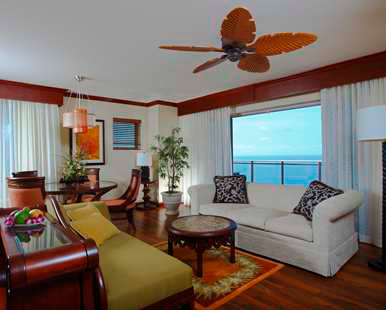 With your lovely wedding gift, we will take delight in the settings of the One Bedroom Ocean View Suite. This stylishly decorated suite is filled with all of the comforts of home. Our suite offers a king size bed with luxurious linens in the master room and a flat-screen TV. A separate living area is spacious with a queen-sized sofa bed, flat-screen TV, DVD player, PlayStation3 and a balcony. The full kitchen includes a full-sized refrigerator, microwave, dishwasher, oven/stove, coffeemaker, a dining table, and more. We will pamper ourselves in the well-appointed bathroom with the large tub perfect for soaking after a long day. 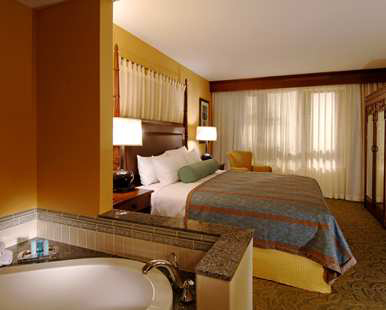 This suite also features a washer and dryer, complimentary Wi Fi and more. Two Bedroom Oceanview Suites are comfortable and spacious and feature a king-sized bed and a queen-sized sofa bed, and a king-sized bed in the second bedroom. The separate living area has a flat-screen TV, DVD player, PlayStation 3 and a balcony. 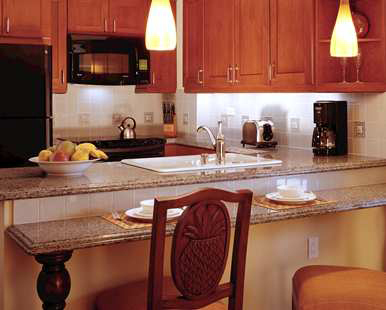 We will enjoy the convenience of a full kitchen with a full-sized refrigerator, microwave, dishwasher, oven/stove, toaster, coffeemaker, utensils and a dining table. We will pamper ourselves in the master suite in the well-appointed bathroom with a large tub perfect for soaking after a long day. The bathroom in the second bedroom has a shower and the suite also features a washer and dryer, complimentary WiFi, flat-screen TVs in the bedrooms and more. This spacious two bedroom, two bathroom Penthouse Suite features two king beds and a queen-sized sofa bed. The separate living room area has a flat-screen TV, DVD player and a balcony. We will enjoy the convenience of a full kitchen with a full-sized refrigerator, microwave, dishwasher, oven/stove, toaster, coffeemaker, utensils and a dining table. We will pamper ourselves in the master suite in the well-appointed bathroom with a large tub perfect for soaking after a long day. The bathroom in the second bedroom has a shower and the suite also features a washer and dryer, complimentary WiFi, flat-screen TVs in the bedrooms, PlayStation 3, and more. Bali Steak and Seafood, located in the neighboring Rainbow Tower, offers one of the finest ocean side dining experiences in the Islands. We will savor the award-winning Pacific Rim cuisine in their open-air dining room, offering stunning views of Waikiki Beach. Featuring fine dining in a refreshingly relaxed atmosphere, we will enjoy culinary creations in a setting caressed by gentle breezes with sounds of the ocean just steps away. 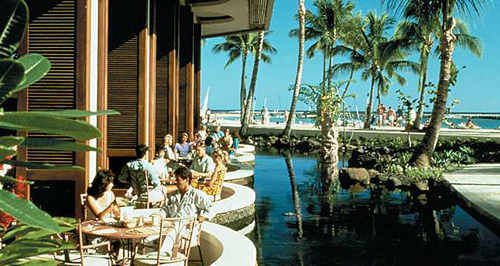 We will look out over the clear blue waters of Waikiki while we dine in this relaxed setting. Rainbow Lanai, a beautiful, casual dining restaurant is perfect for a leisurely breakfast and is a great spot for delightful dining. Rainbow Lanai offers us a bountiful breakfast buffet daily. 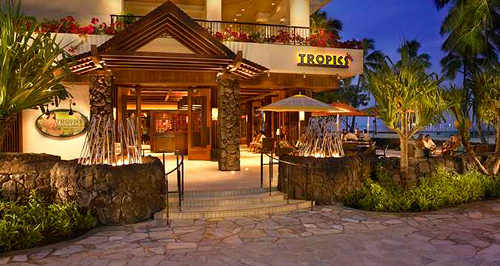 Tropics Bar and Grill is Waikiki’s newest sizzling hot spot. It’s the perfect place to experience Hawaii’s “Authentic Beach Cuisine” including creative comfort food with a touch of the exotic served on Waikiki Beach. They feature unique Hawaii products and the freshest island ingredients in all of their menus. We will listen to island musicians as they set the tone for a tantalizing evening. We will celebrate with a tropical beverage, beer on tap or one of their unique Tropics inspired cocktails. There is no better place to watch beautiful Waikiki sunsets. With over 90 boutiques, specialty stores, gift and sundry shops all right here at the resort, we will find everything from fine jewelry and original artworks to the latest fashions and authentic aloha wear. This credit will allow us to bring a piece of paradise home with us. Grand Waikikian by Hilton Grand Vacations Club promises us a honeymoon just as alluring as the Hawaiian Islands. The hotel is idyllically set within the 22-acre Hilton Hawaiian Village Beach Resort & Spa on world-renowned Waikiki Beach. We will relax with delicious cuisine at the hotel’s oceanfront restaurants. We will indulge in beauty treatments at the spa and return to spacious and luxurious all-suite accommodations. 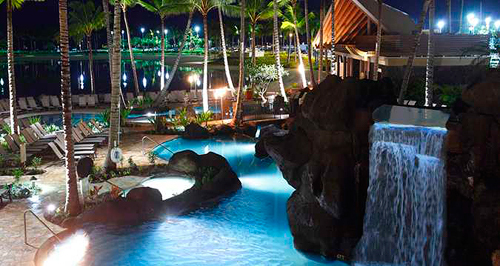 Hilton Grand Vacations promises us a honeymoon escape drenched in the spirit of Aloha. 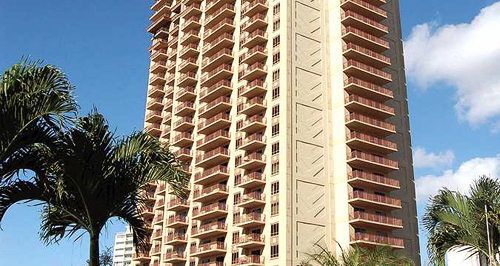 This impressive property is located in the heart of Waikiki within the Hilton Hawaiian Village Beach Resort & Spa. Set within a 38-story tower, this hotel offers 331 elegant suites equipped with living and dining space, a full kitchen and balcony. After a day spent on Waikiki Beach, we will indulge in delicious cuisine at the hotel’s oceanfront restaurants, take a refreshing swim in one of the six pools, enjoy an invigorating workout at the fitness center or indulge in beauty treatments at the spa. 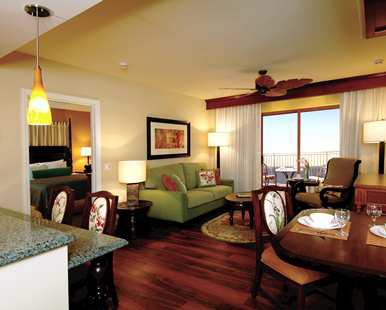 With your generous wedding gift, we will explore the tropical enchantment of Grand Waikikian. There’s no better way to relax and rejuvenate on our honeymoon than with treatments and therapies from Mandara Spa located within the Hilton Hawaiian Village Beach Resort & Spa. Every Mandara Spa experience is completely unique with treatments and therapies inspired by rich Balinese traditions and European techniques. Help us unwind on our Honeymoon with facials, body wraps, massages, and much more all available from Mandara Spa. Hele mei hoohiwahiwa! (Come celebrate!) Send us on our way to enjoy one of Waikiki’s most memorable experiences – Waikiki Starlight Luau. The dinner show features a unique fusion of music, drums, drama and dance embodying the color and magic of Hawaii’s heritage.